The wheels are approx 2 months old have done about 1000miles. 3 are in un marked condition and are cleaned inside the rim as often as they are on the outside. They are waxed everytime i wax the car so are shinier than when i got them. 1 of them unfortunatly has a scuff. Its on the lip of the rim and is about 15cm long overall, broken up into 1cm sections, hit and miss. It wont polish out, you can see it if you look. Im a perfectionist so it probably bugs me more than some people. I got a quote to repair it from a mobile wheel place, for £40. Its literally a case of sanding the area down and repainting it. 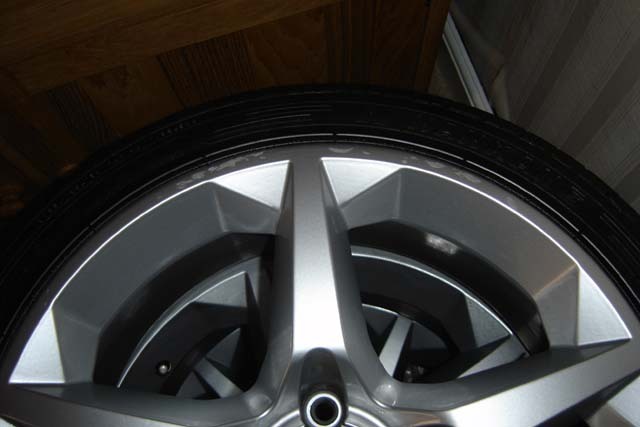 Theres no structural damage to either the wheel or tyre, purely cosmetic. Saying all this, i entered the vxscc best kept car comp with it and i still won the class so its not that bad. All 4 tyres are virtually brand new, budget 225/40 18's. Im going to put them on ebay too, so i expect they will get snapped up on there. Im looking for £575. Im fairly emotionally attached to these babies so im selling them reluctantly. Obviously delivery would have to be discussed with whoever wants them. If I can sell my std vectra sri wheels I will take em mate. Ill let you know either way what I am doing by the weekend. I may put em on ebay, i am unsure. Im looking for about 400 for mine. They are provisionally sold to a guy on VS. Just waiting on his deposit for me to hold them for him. I dont need any more alloys though, sorry. Andy, What offset are they? I am thinking of the Zaf. astra 18" sri alloys ?